Spiromatic masks are widely considered the most comfortable, lightest masks approved in the UK under JTM rules and meeting EN136. 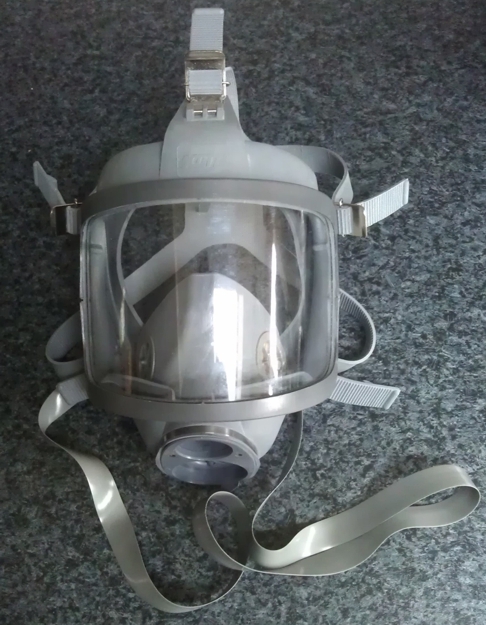 Complete with inner mask, neck strap and visor (polycarbonate, unless otherwise requested*); we build these masks, each 100% tested for security and for key requirements of both EN136 and EN250. It is suitable for all surface use versions of the 'AGA', Full Face-mask and it should have a service life exceeding five years. The compound for the grey mask is a mixture of natural, Neoprene and Strene Butadiene rubber, aimed at reducing skin reactions; for all-day-comfort and lending better strength, elasticity and durability to the mask. These masks are built with all new rubber components and new or refurbished manifolds, so saving well in excess of £100, compared to manufacturer's list price. Warranty is twelve months. 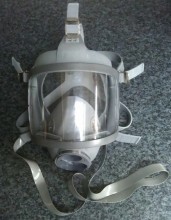 The mask comes as photographed here - it does not include a speech diaphragm assembly or blanking port. Depending on whether the speech diaphragm or blanking port is required, these items are between £20 and £56 extra. The open port may also be used to accommodate wireless radio communication, available on inquiry with us. Click the button below to add the Spiromatic Mask replacement with Visor, harness and Neck strap to your wish list.